Pat Sloan: Carrie Bloomston and Christa Watson on my Podcast! From sparking your inspiration to having that 'wow' moment that turns around your creative life, today is going to be full of creative energy. Carrie and Christa are both super high energy and positive forces, you are going to love this show! 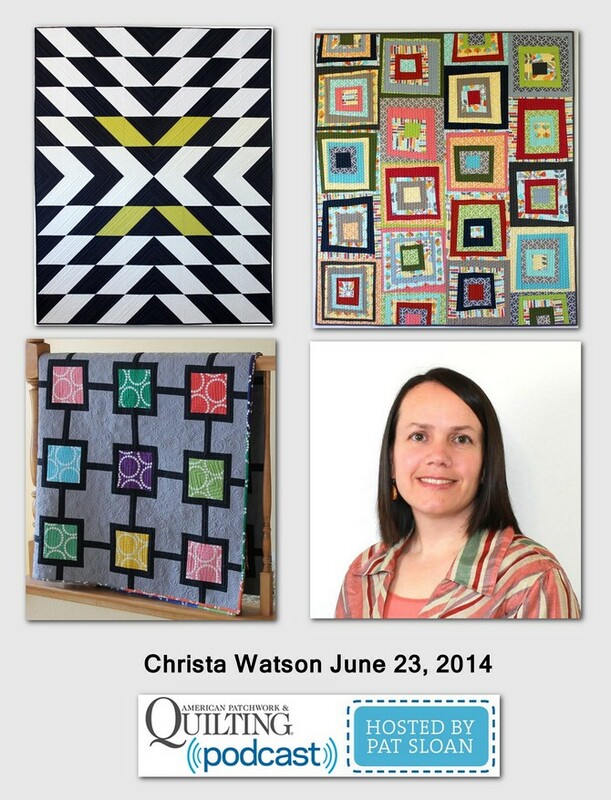 I first found out about Artist Carrie Bloomston's work when I saw her fabrics with Windham. They have a collage feel, like she ripped up the newspapers, painted them and then magicly turned them into quilt fabric.. wait.. I wonder if that IS what she did? 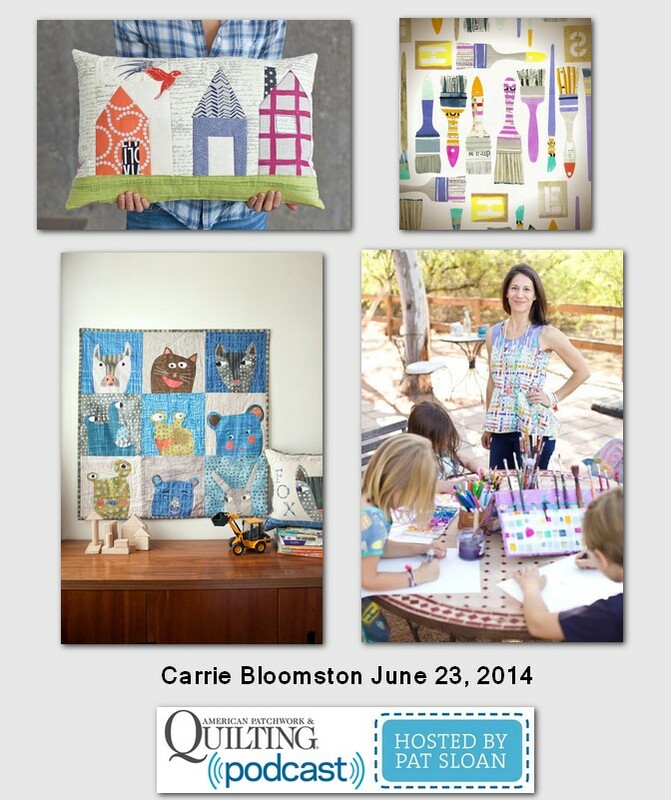 I had spot with Carrie in her booth at the show and she is inspirational! I asked her to come on the show and talk about her passion, which is creativity... something we never tire of learning about.